Paulson Press to double productivity with Speedmaster XL 106 LPL machine from Heidelberg | Industry Analysts, Inc.
Kennesaw, Ga. January 30, 2017 – Paulson Press, Inc. of Elk Grove Village, IL is reaping the cost-effective benefits of its newly installed Speedmaster XL 106-4+LYY-P+4+L with UV from Heidelberg. The XL 106 LPL press is the first in the world of its kind, delivers increased productivity, reduced manufacturing costs and faster turnaround times with its ability to coat both sides of a job in a single pass at maximum speeds. The XL 106 LPL (Print, Coat, Perfect, Print, Coat) configuration takes full printed sheets with aqueous and/or UV coating (on both sides) straight from the delivery to the bindery. With maximum production speeds of up to 18,000 sheets per hour, the peak performance press can handle a wide range of substrates from 27 lb. offset to 32 pt. board. 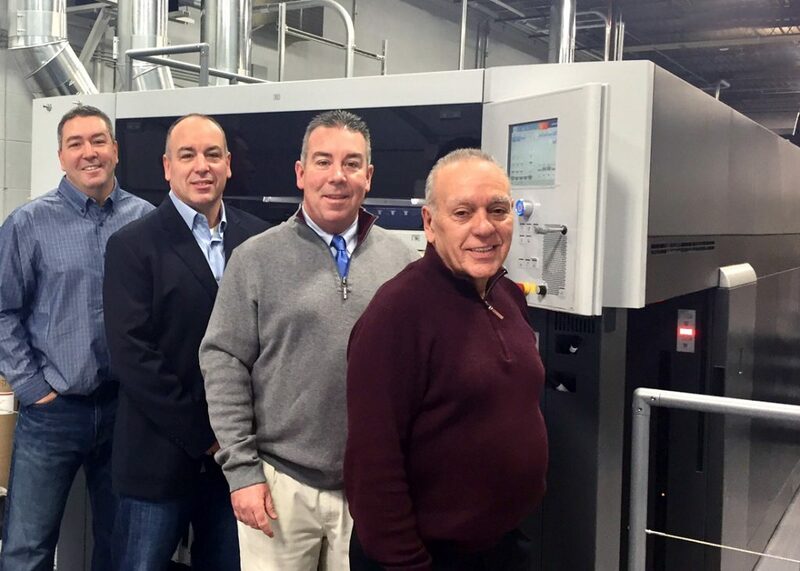 Prior to the recent installation, the commercial printer was running two straight 6-color Speedmaster XL 105 presses. The new LPL machine replaced one of the XL 105 presses, and runs alongside a Speedmaster SM 102-5-P, Suprasetter CtP device and a range of Stahlfolder and POLAR postpress solutions. The company also utilizes Heidelberg’s Prinect workflow to streamline production processes and reduce touchpoints. Aside from enhanced productivity, the press acquisition also marks the company’s entrance into the UV market. According to President Ben Letto, the decision to add UV is a direct reflection of its commitment to provide its customers with the highest quality finished product. Installed in December, the LPL press was equipped with a customized kit of Saphira consumables to enhance print quality and guarantee stability throughout the pressroom. Being the first in the world to install this configuration, Heidelberg’s team of experts performed extensive testing at its demonstration facility, Print Media Center Atlanta, to select the best combination of Saphira products for outstanding performance. Paulson Press is a privately held commercial printing company with over 47 years of experience. The company’s commitment to printing and its customers’ needs is evident by its dedication to operating on the leading edge of technology. Paulson Press prides itself on its ability to provide top quality, competitive pricing and exceptional service. This entry was posted in Uncategorized and tagged heidelberg, Inc., Paulson Press, Speedmaster XL 106 by IA Staff. Bookmark the permalink.